And That's a Wrap on Our Biggest Qlik Sense Tour! 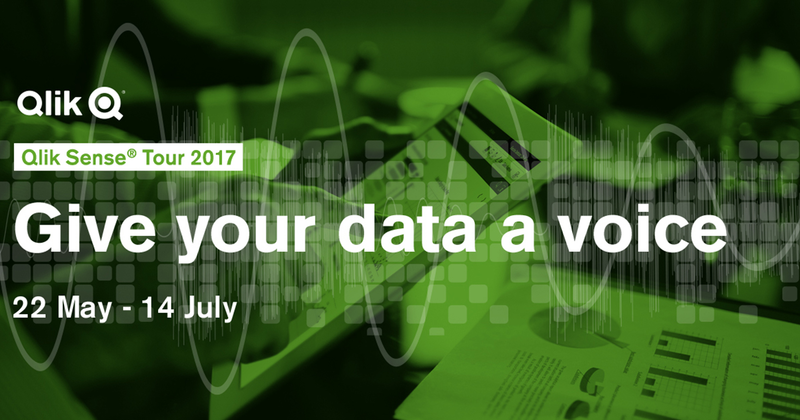 Data literacy is a key theme as we hit 89 cities in our most successful Qlik Sense Tour to date. Our Qlik Sense Tour events are one of my yearly highlights – and this year was no different. In fact, it was better than ever. The events, which ran over a course of eight weeks from 22nd May to 14th July, was a great way for us to meet data aficionados from across the region, helping them give their organization’s data a voice, share best practice on how to visualize data and empower staff to do just that. Working with our partners across EMEA, we hosted thousands of delegates, all keen to discover the new era of analytics. Taking place across 89 cities, including London, Milan, Frankfurt, Johannesburg, Stockholm and St Petersburg, each event saw Qlik provide an update on our product and innovation strategy, attendees were given product demonstrations and took part in hands-on Qlik Sense workshops. They also heard from Qlik customers, such as Quooker (Netherlands), Adidas (DACH), South Central Ambulance Service NHS Foundation Trust (UKI) and Technica Group (Italy). The customer presentations provided great detail on the use of analytics within a variety of use cases and industries. Many also discussed their approach to driving an analytics driven culture within their organization. As well as sharing best practice, we like to use the time we have with attendees to find out what the real issues are when it comes to data use in their organisations. One theme that really resonated strongly was data literacy – empowering staff outside of the IT or data function with the ability to interpret, read and understand data. Many attendees noted the opportunity to upskill more staff in terms of data literacy, both in terms of allowing access to analytics applications as well as giving more training to help a broader audience, get the most from their company’s information. This continues to hit home with us - the subject of data literacy is one we’ve been talking about a lot – and we’re sure to see it cropping up as a discussion point more and more. We all know there are gains that can be made from data analysis – cost savings, improving operational efficiencies and better customer service, to name a few but, to be a real success, organizations need to take more steps to be data-driven, encouraging more people at different levels to easily access, read and interpret data in order to get the best insights from it. There is a big opportunity here. After all, a lot of the individuals we spoke to said they thought data literacy was a skill that, with the right training and investment, could be learned and embraced. You can expect to hear a lot more from us on this topic over the next couple of months. Getting data analytics technologies deeply embedded into organizations is a crucial first step to empower people to argue with and interrogate data – and how to do that – is the crucial follow up.